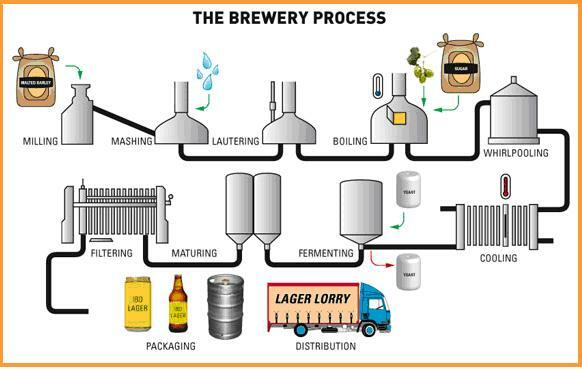 Beer 101 ~ Learn, Live, and Explore! 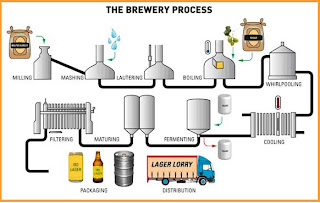 Tonight, I spent an hour and a half learning about the composition of beer, the chemistry of beer, the varietals of barley and hops, and the brewing process all for one purpose: to finally figure out what my "go-to" beer is when I go to restaurants! I always struggle with beer menus, and I always end up ordering something that is ok, but - I'm going to say it - isn't my refreshing preferred bottle of Bud Light!! Oh wow, I just heard you wince!! I know, this is pathetic to have the McDonalds of beers as my "go-to," especially with my 20+ years in Portland, Oregon, where there are more craft breweries per capita than anywhere else in the US. First, we learned about the composition of beer: water, malt (usually barley), sugar, hops, and yeast. Pretty simple, right? 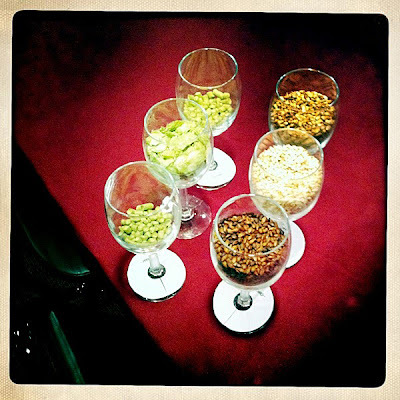 Next, we had the opportunity to smell and taste three different types of malt. The first was a traditional light barley that tasted like grape nuts. The second, a medium color, was called crystal malt and tasted more bitter. If you're really into sucking of espresso grinds, then the chocolate malt is for you, as it was super bitter. After a review of the different stages of the beer making process, it was time to taste! What I found interesting is that, just like wine, beer connoiseurs look for clarity and color, beer head (creamy or rocky), smell (I caught some espresso, tropical fruits, honey, and straw in some of mine), and taste - both front taste and after taste. 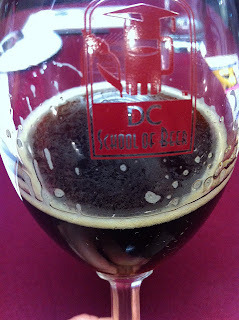 At the end of the day, I walked away from the class knowing more about beer. I liked the brown ale the best of the four we tried tonight. I also learned that the best glass to drink a beer is a large tulip class - both for maintaining the flavor and for presentation. Unfortunately, I'm still going to have to continue my quest for my perfect "go-to" beer. If you're interested in taking an Introduction to Beer course as well, check out the Washington Wine Academy's DC School of Beer. The cost of the class is $38 plus $10 for the tasting.